The Quik Litter ™ is a cost effective emergency carry litter designed for rapid deployment for the movement of casualties. It features ten large carry handles with a load capacity tested to 500 lbs. 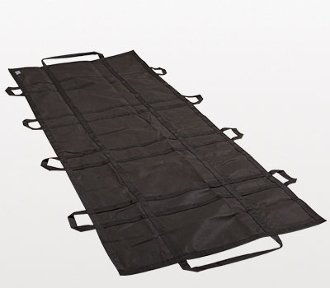 The QuikLitter ™ is the ideal disposable litter for mass casualty incidents, disasters, active shooter events, as well as for everyday patient movements.